The case studies should try to directly address one of the questions listed in the issue paper. The time allocated for the presentation of each of the cases will be seven minutes. PM Meles Zenawi’s interview with WIC in connection with the 35 founding anniversary of the Tigray Peoples Liberation Front (TPLF), source=(waltainfo.com). The agreement between the parties signing the Code of Conduct has been one such positive step transcending the petty squabbles that have so long characterized inter-party relations. Nevertheless, the behaviour of some political actors still leaves a lot to be desired. 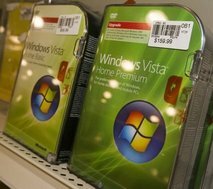 ADDIS ABABA (AFP) – US software giant Microsoft has launched Windows Vista in Amharic, the first operating system in the national language of Ethiopia. EDP demands "white terror" perpetuators to be prosecuted similar to the "red terror" ones! High rates of the most effective type of malaria-fighting drugs sold in three African countries are poor quality — including nearly half the pills sampled in Senegal — raising fears of increased drug resistance that could wipe out the last weapon left to battle a disease that kills 1 million people each year, according to a U.S. report released Monday. Tigrai gears to celebrate Lekatit 11 in a grand style. (CNN) -- An Ethiopian-flagged vessel fought off a pirate attack in the Gulf of Aden earlier this week, the multi-national anti-piracy task force said Thursday. Ethiopian Opposition Parties: Are They There Yet? Siye Abraha and Ethiopian Election 2010 politics. Lekatit 11 in Washington DC!!! Chicago is Celebrating 35th Anniversary of Yekatit 11. Boston is Celebrating 35th Anniversary of Yekatit 11.